Now you know what 4.7 lbs of poodle fur looks like when stretched! How about those l o n g skinny hind legs? 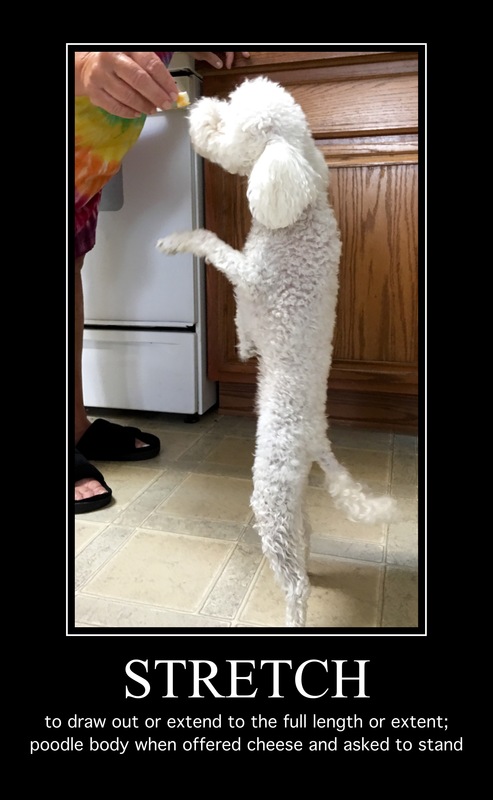 This entry was posted in addiction, beg, Cheese, happy, humor, joy, love, Meme, Pet trick, poodle, toy, Uncategorized, Zoe and tagged dog, PET. Bookmark the permalink.